Senior Creative Jobs. 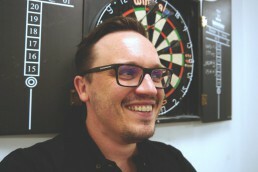 Philip joins the AlignandPull agency brand creative team as Senior Creative. Out of the dozens of strong applicants from across the UK for the Senior Creative post. Philip clearly proved he was a superior business and brand cognitive creative, superb sketch out thinking skills, as well as being a brilliant fit with his quick wit and friendly personality. Working well with the strategic team; problem-solving being committed to our cause of ‘real’ and ‘effective’ brand development to drive business growth; a key attribute of the AlignandPull team. Philip’s passions out of work he enjoys, fitness training, cooking, photography, movies, and travel he has a young family and dog, which takes up his time out of work.